My friend Jodi spotted this t-shirt on a recent family vacation to the Jersey Shore. 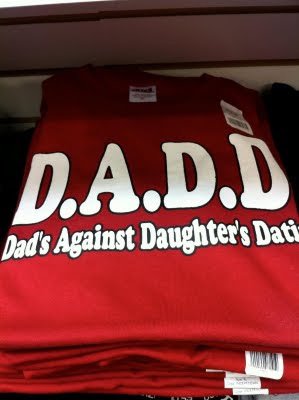 This is beyond lame, sentiment-wise, but it could be correct; maybe just THAT dad is against his ONE daughter dating, right? Am I giving this t-shirt designer too much credit here? Anonymous is right. 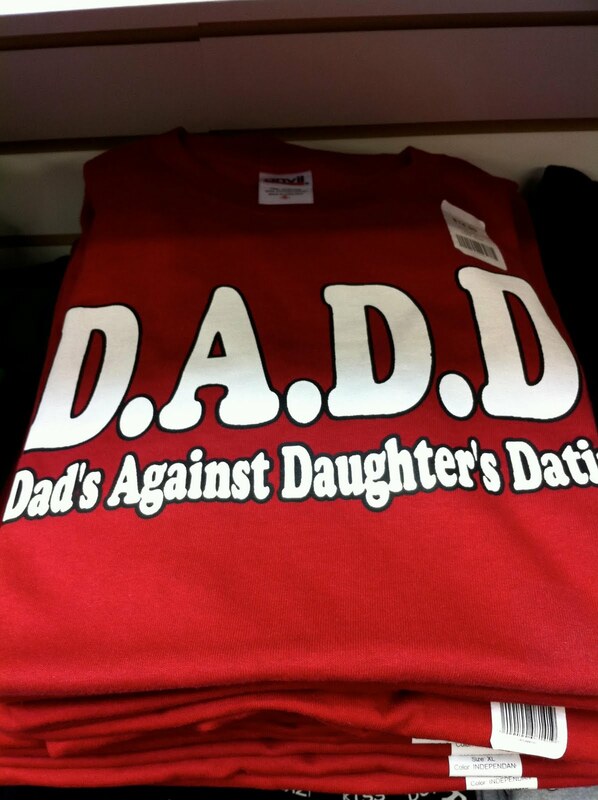 "Dad's" could be a contraction for "Dad is" and he could be against his daughter's dating. Very good blog you have here but I was curious about if you knew of any message boards that cover the same topics talked about here? I'd really love to be a part of online community where I can get advice from other experienced people that share the same interest. If you have any recommendations, please let me know. Thanks! I'm curious to find out what blog platform you have been utilizing? I'm having some small security problems with my latest site and I would like to find something more secure. Do you have any suggestions?